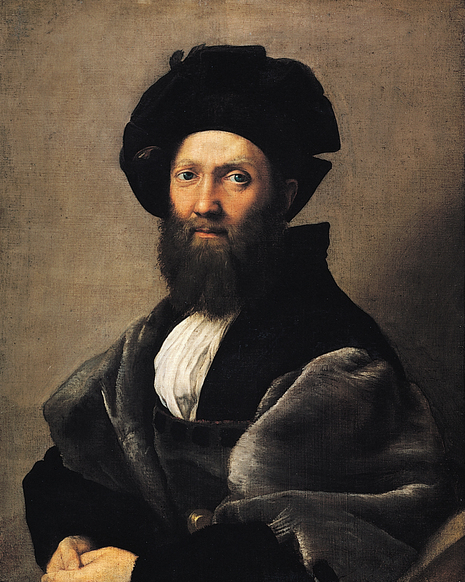 Portrait of Baldassare Castiglione is an oil painting attributed to the Italian High Renaissance painter Raphael, circa 1514-1515. Baldassarre Castiglione was a literary figure active at the court of Urbino in the early years of the 16th century. 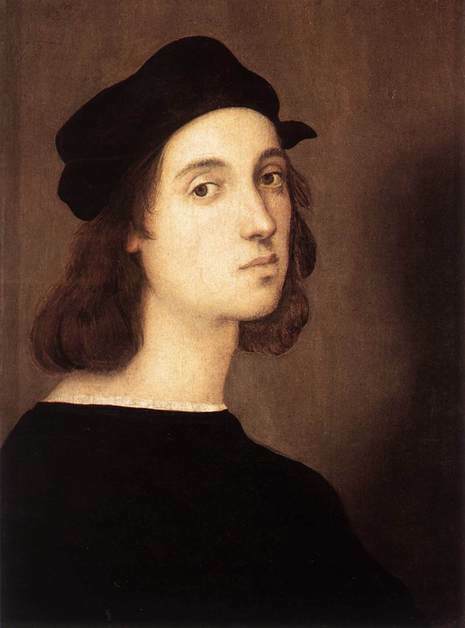 The portrait may or may not have been in fact painted by Raphael. According to a letter of 1516 from Pietro Bembo to Cardinal Bibbiena, "The Portrait of M. Baldassare Castiglione... [and that of Duke Guidobaldo da Montefeltro would seem to be by the hand of one of Raphael's pupils". But the high quality and masterful combination of pictorial elements which distinguish the painting (note the affection inherent in the intelligent and calm face of Castiglione) lead one to believe that the master participated in some way in its execution. Certainly the shaded tonalities of the clothing and the unusually light background indicate the hand of a skillful and experienced painter. Moreover, the direct glance of the subject establishes an immediate, intimate contact with the observer. Until January 2007, the portrait was on display at the High Museum of Art in Atlanta, Georgia, as part of the Louvre Atlanta exhibition. In January, the painting returned to its permanent home in the Louvre in Paris. Baldassare Castiglione, count of Novilara (December 6, 1478 – February 2, 1529), was an Italian courtier, diplomat, soldier and a prominent Renaissance author. He was born near Casatico (near Mantua in Italy) where his family had constructed an impressive palazzo. The signoria of Casatico (today part of the commune of Marcaria) had been assigned to one Baldasare da Castiglione, a friend of Ludovico II Gonzaga, Marquis of Mantua, in 1445. The later Baldasare was related to Ludovico through his mother, Luigia Gonzaga.